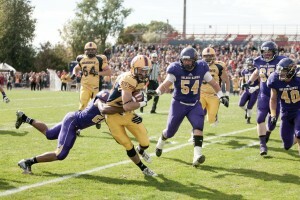 The road to becoming a professional football player is one that is both rigorous and demanding. 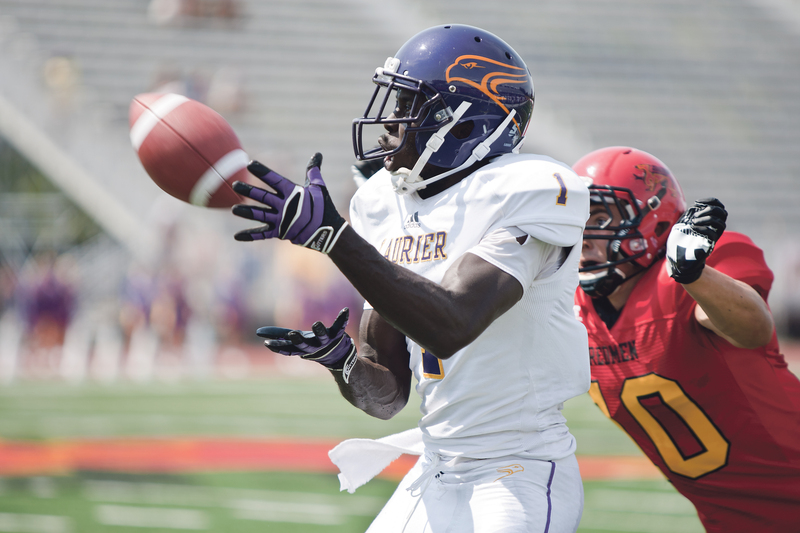 Wilfrid Laurier Golden Hawk defensive football standouts Thomas Griffiths and Felix Odum are well aware of the many challenges that are presented along the way to becoming a Canadian Football League (CFL) player. They will aim to head down this road and fulfill their dreams of becoming a professional CFL player when they compete in the 2014 CFL regional combine on Mar. 20th. If they are asked back, they could go to the national combine on Mar. 21-23 in Toronto. Both Griffiths and Odum have been training rigorously for the event, and feel confident about their performances going into next week’s combine. However, there are consequences to balancing both school and training, as it becomes demanding in both of these areas. Griffiths comes from a family of athletes who are familiar with these hardships and provide him with positive support and encouragement during his training, including his cousin Richard Clune who plays for the Nashville Predators in the NHL. Both Griffiths and Odum are prepared both mentally and physically and remain hopeful that their CFL dreams will be one step closer to being fulfilled at the regional combine.